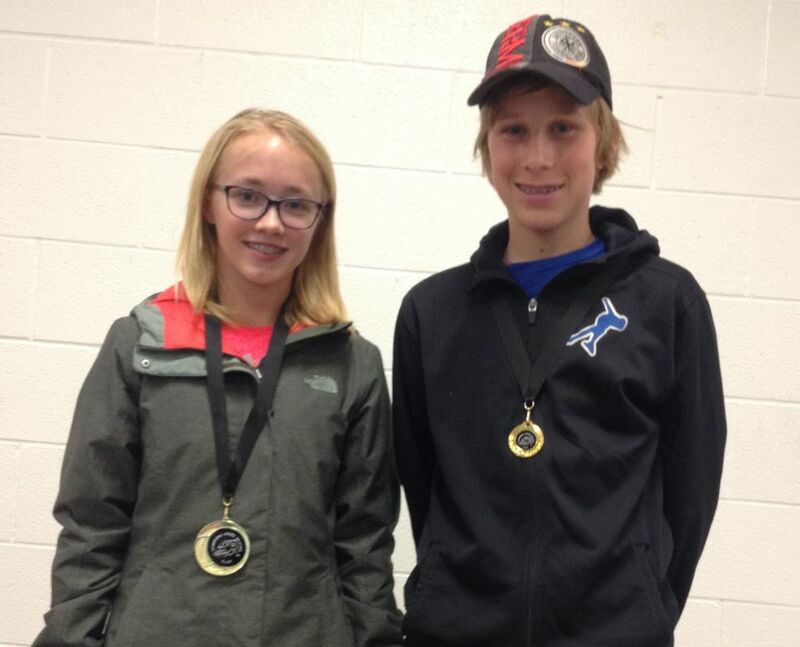 We had 19 skaters participate in the Kingston Regional Series #3 meet in November. So many personal bests that we haven’t updated the PB tab yet! Two special PBs came from milestone achievers: Arie Devos and Charlotte Morrison both smashed the 1 minute milestone for the 400m. Cupcakes made their way to the rink, and were gobbled up in celebration! Provincial Series #1 – Great Job! Four St. Lawrence Rapids competed in the 1st Provincial Series Meet this past weekend hosted by the Cambridge Speed Skating Club. Protocol can be found here. PB’s have been updated here. Congratulations to Gold Medalist Emma Grace Wheeler – Emma Grace dominated the Open Women Group 2, winning all but one heat, semi, and final over the 2 day event. She’s ready for the Open Women Group 1 at the next meet! Nolan Roney won gold in the Boys 11-13 Group 2 Relay – their team’s strength was consistent relay exchanges. He finished 9th in the 11-13 yr boys division. 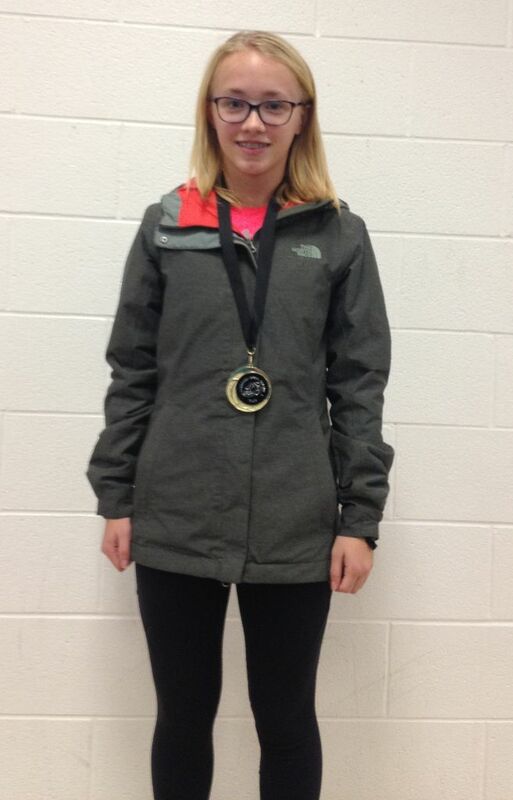 Cameron MacKay achieved a speed skating milestone by completing the 500m distance in under 60 seconds – by smashing it by a full second! He finished 17th in the 11-13 boys division. Andrew Chartrand competed in the Open Men Group 2, finishing in 13th place, with lots of hard racing and some excellent passing! 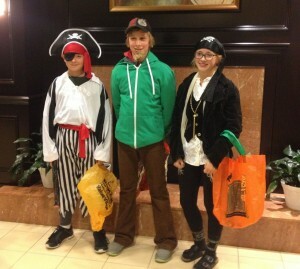 Nolan, Emma Grace and Cameron also managed to sneak in some trick or treating time!